I have always been fascinated by nature and have been a big fan of David Attenborough ever since I saw Life on Earth, back in the 1970’s. So I couldn’t wait to see This stunning wildlife series, which is Co produced by the BBC and the Discovery Channel, and narrated by David Attenborugh. 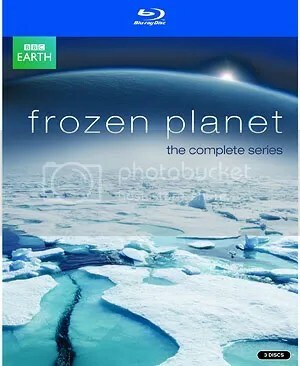 It takes a look at life in the frozen and inhospitable lands of the Arctic and Antarctic regions of Earth as well as Greenland Alaska and Canada. The series also contains some stunning aeriel photography which conveys the vastness of the areas featured. The program looks at the wildlife which live in these areas such as herds of migrating Caribou, and how animals like Polar Bears survive in these hostile environments and the extraordinary lengths which they go to in order to secure a mate. It also looks at Migrating Southern Humpback Whales, who make the long journey to Antarctica in order to take advantage of the feeding bonanza provided by the proliferation of Krill in the sea, and how how wolves work as a team in order to hunt much larger bison, and how Southern Sea Lions hunt penguins as well as rarely seen footage of Killer Whales hunting seals by creating huge waves to break up the ice flows and dislodge the seals so they fall into the water. The program also looks at some of the bizarre and rarely seen life which thrives under the ice and shows that the area is positively bursting with life. Also featured in this fascinating program are The previously unexplored caves of the volcanic Mount Erebus which contain rarely seen and rather bizarre ice formations.